Builder's own one-of-kind extraordinary lakefront luxury estate. 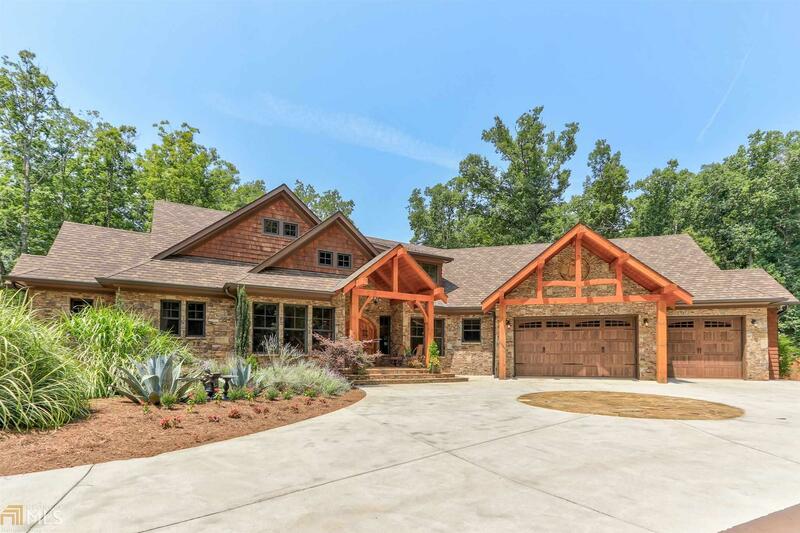 2+ park-like private acres on Lake Lanier and Corps' land makes it seem even bigger. Scenic drive lined w/ elegant blooming trees & charming white picket fence. Includes 3BR guest house that can be converted to a barn, horse corral and pasture land. Showcases a myriad of creative features like gorgeous wood beams milled fm property&apos;s trees, replica of Grove Park Inn&apos;s stone fireplace, magazine-quality kitchen w/ pro appliances, barrel wood ceiling and so much more. Unforgettable master w/ spa bath, fabulous theater & kitchenette, 2nd hidden office, gym area & huge entertaining decks. Party pavilion o&apos;looks water feature flowing to deep wtr dock. Big, bold, beautiful! Connecting driveway paved!